Now you can grill your favorite food anywhere with this attractive Stainless Steel Portable Propane Grill with a 12,000 BTU stainless steel burner from Blue Rhino. With 272 square inches of primary cooking space, and a 130 square inch warming rack, you can easily cook enough food for the average outdoor gathering. 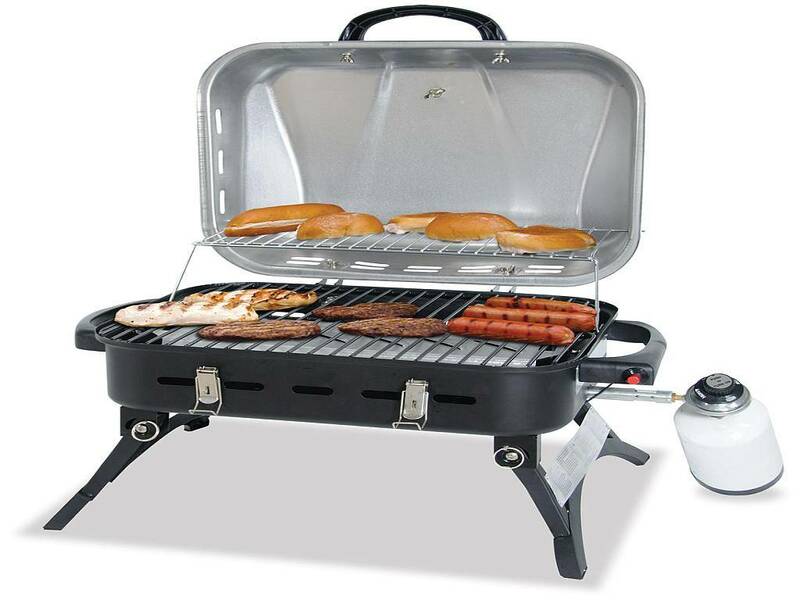 The grill is designed with a regulator made for the 1 lb propane cylinder tank which can be purchased locally. This grill easily folds to a compact size making it easy and convenient to take to your favorite outdoor activity or event. 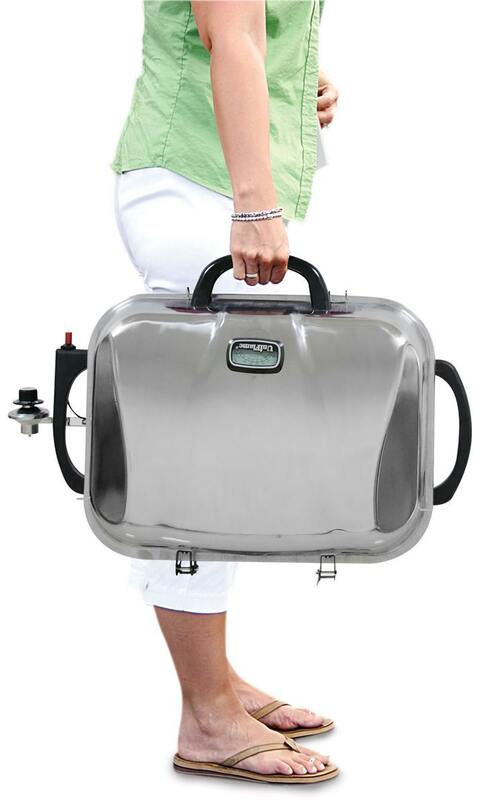 Great for tailgating parties, beach parties, camping, or extra cooking space for your at home gatherings.